Beloved, if we are experiencing confusion amongst ourselves, if we seem unable to understand each other, if disunity is the status quo represented as the Body of Christ today; we are not operating under the power of the Spirit of Pentecost. The baptism of the Holy Spirit united us; It is more than just speaking in tongues guys. The greatest evidence of the baptism of the Holy Spirit is indeed a mysterious understanding as we find ourselves united by enjoying and opening the door to our Lord’s grace and truth. Pentecost is a phenomenon and a revolutionary way of life that is second to none. 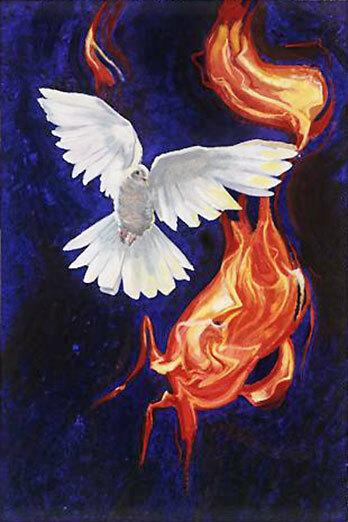 Pentecost is the release of God’s power for us to live the life that He designed for us to live before the foundations of this earth were established. The question of today is; what language are you speaking today; the confusing, arrogant, rebellious and self-centered language of Babel or the supernatural understanding given to us at Pentecost? Doing things our way will always bring forth confusion and the resistance from our God; it is the place of no blessing; the place of no peace, the place of empty images and the place of unfinished visions. Many ministries and churches have expired because they insisted in the ways of Babel. The ways of Babel will never ever prosper no matter how glamorous it looks like. The way of Pentecost is the only way on earth that will indeed prosper and complete its mission no matter how awful things may look like. Repentance was preached and not camouflaged. People must come to the realization that they are sinners before realizing their need for Christ (Acts 2:14-37). Romans, tells us that “Faith comes by hearing.” It is necessary for someone to preach the truth and the wholeness of this Gospel. My friends, this is the legacy of the miracle of Pentecost! Where are we as a church compared to these twelve characteristics? Are we going to leave it as just something applicable to those days and distance this way of life from the reality of our days? Which one of these twelve can we afford to be without? Next Next post: On Steve Harvey! As Christ followers and communities of Christ followers (churches), we can easily adopt a tower of Babel mentality. It sounds like this – At least I’m better than she is. Our church is doing more in mission than that church. We are doing better than we did last year. Our congregation is pretty old (or poor or whatever). It will cost us EVERYTHING and until we have come to that realization that CHRIST is ALL E WANT ABOVE ALL ELSE we will not be able to manifest HIS GLORY on earth, but this can change in a day and it has been promised by THE KING of kings so I am praying for it daily and eagerly expecting the fullness of the measure of CHRIST first in my life and then in my beloved brethren so that HE may Return quickly and REIGN for this is HIS EARTH! HIS WILL BE DONE HIS KINGDOM COME! AMEN ! Well put brother Angel! GLORY TO GOD! Hey Emanuele, I can see that you are into the deep things of God! Amen brother!